When is the Right Time to Wean? Congrats on the birth of your little angel! If you’re a first time mom, the experience of motherhood is nothing short of an exhilarating ride, and it’ll be something you’ll cherish forever. As a new mom, you may find it tough to juggle household work (or office work for that matter) and tending to your baby. Often, you may be confused over some do’s and don’ts about what to feed your baby. The best way to check what’s good and what’s not for your baby is to visit your paediatrician regularly- there’s probably nothing more reliable than the advice she would provide you. And now that your little baby has grown into a naughty, mischievous toddler, it’s time to start weaning him off breast milk and introducing him to some solid foods. If you’re concerned over the basics of baby weaning and are looking for some cool tips and tricks to prepare easy and quick weaning foods for your toddler-here’s the best you could get. Read on, we’ve sorted it all out for you. 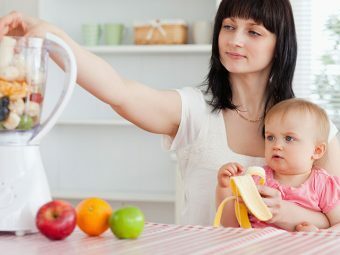 This is probably the biggest question that may prop up in a new mom’s mind-well, over the years, there has been remarkable changes in the guidelines put down by experts that could help you determine the right time for your baby to start off with solid foods. In general, it is advisable to start weaning your baby off breast milk once he/she reaches between 4 to 6 months of age. Babies born pre-term should be fed breast milk until they are 6 months old. Your baby’s digestive system may often give you some clues about when he’s ready to start off with some solid foods. Here are some typical signs and symptoms that may signify it’s now time to start weaning your baby off breast milk. Your baby is now able to sit straight and hold his head straight. Your baby had developed co-ordination of his hands, eyes and mouth- he can now look at food, grab it, and try to eat it. 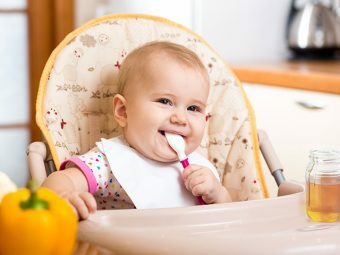 Your baby is able to swallow food- you will find that your baby doesn’t make a lot of mess and throw food out of his mouth when he tries to eat. If you’re trying to wean your baby early, whatever may be the reason, remember- it poses several heath problems for your baby. Here are some important tips and tricks you may need to know. Never ever try to add solid foods (like rice) to your baby’s milk bottle. If your baby was born pre-term, and you try to wean him off early, he may have a risk of being affected by allergies, infections and other complications, particularly eczema and asthma. Check if there’s any allergy running in your family- especially before you start to introduce dairy products, eggs, gluten containing foods and fish. Never try to start weaning your baby before the end of his 4th month (17 weeks). 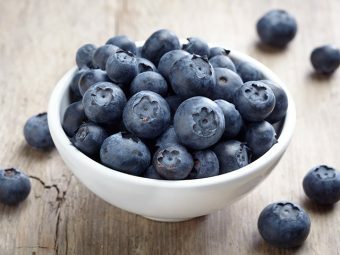 Fruits are a great way to get your baby to start on solid foods- they are packed with important nutrients that your baby will need now that he’s not getting breast milk anymore. 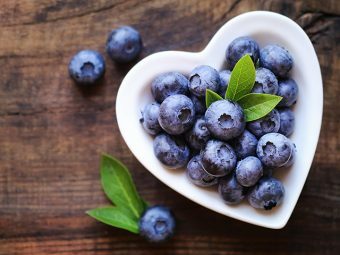 What’s more, fruits are sweet in a good way- they’re packed with natural sugars that your baby will definitely love. Apples are one of the best foods to get your baby started with- peel an apple and mash it, and feed it to your baby a few tablespoons at a time. If your baby likes it, you can slowly start introducing pears, mangoes and other fruits too! Fruits juices are another great weaning option for your baby- but do avoid using packaged fruit juices as they have artificial flavouring agents and chemical additives and preservatives that could be harmful for your little one. Start your kid’s day with a small helping of fresh fruit juice! From mashed potatoes to boiled carrots- veggies are an absolute must when it comes to weaning your baby off breast milk. Make sure you wash the veggies thoroughly, and choose organic veggies as opposed to the regular ones- they’re free from toxic chemicals and pesticides. Clear vegetable soups make for a complete meal for the baby. They’re basically water, which means your baby will be well hydrated, and also pack in the nutrition and ‘solid’ content from veggies. Legumes are packed with proteins, which are yet another power-packed weaning option for kids. A small helping of mashed, boiled legumes, seasoned lightly can be given to your kid occasionally. Surprised? Don’t be- now that your baby takes solid food, it’s time to introduce water too- to make sure your kid is well hydrated throughout the day. Water also helps detoxify your baby’s body and keeps his digestive system healthy. Green leafy vegetables are packed with iron and other mineral salts that your baby needs to keep his body functioning at the optimum level. You can boil green leafy veggies like spinach, pea leaves and others, mash them into a paste, season them lightly, and feed them to your kid every once in a few days. If you notice your baby’s taking his weaning period well, you can also start introducing him to cooked foods like daal and rice and other light rice dishes. It is best to consult a nutritionist or a paediatrician to make sure of which foods are okay to be included to your kid’s diet. It’s best to rule out the risk of any allergic reactions before you start introducing your little one to eggs. Eggs are packed with proteins and important vitamins that ensure proper bone health of your kid. What’s best, they are amazingly versatile. Save this one for the last- animal proteins are good for your baby in many ways, but its best to check with your paediatrician before starting on this one for your tiny tot. If your paediatrician does give you a nod, make sure you opt for fresh cuts instead of processed, cured meats. 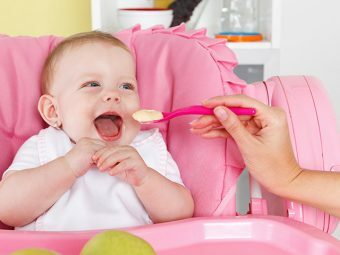 Hope this post will help everyone choose the best weaning food for babies. Do share your comments below. 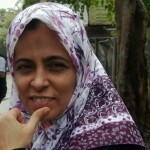 Fasting During Pregnancy: What Are The Major Risks Involved? Is It Safe To Give Honey For Babies?